However, with this list of hacks, you will know what best practices should be followed and what preparations need to be done while participating in a hackathon. 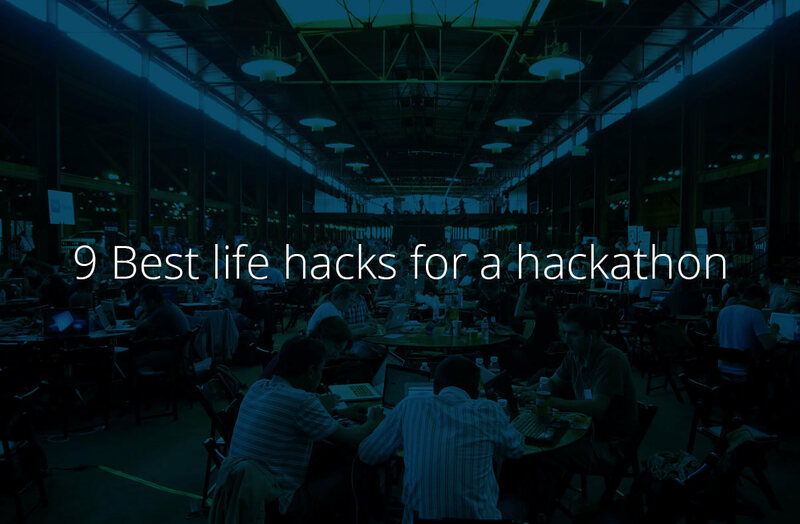 Not only that, these hacks could just be what you need to find success at the hackathon event. Choose the right team – Attract good talent and form your team with the right people in specialized roles. For example, if you are a back-end engineer and are creating a full-fledged web application prototype that requires a user interface (UI), you must team up with someone who has the right coding skills for the application, preferably a front-end engineer. Distribute tasks effectively – Since a hackathon is a limited-time competition, the work distribution should be effective and even. Everyone in the team should work on tasks that match their expertise. All of them should work in parallel, with few “blockers” in the team. Use version control – You can save a lot of pain and frustration by using version control for collaboration. Not using a source control tool may lead to a significant loss of valuable time and effort. Use pre-made HTML/CSS framework – If the hackathon rules allow, you should be ready with the HTML/CSS framework in advance to save time. This always gives you an edge over the competition in terms of time. Take breaks – This may sound surprising, but when under pressure, don’t just sit in one spot for many hours. Take a small break and walk away from the code. Come back after sometime with a refreshed and re-energized mind. Spend time creating demo – Whatever you create, presentation / video demo is as important as any other task. A good presentation is the key to the next level. Spend enough time preparing it. Network – Sponsors, mentors, and fellow developers are great resources. Always make a big impression by good networking! You haven’t reached the end of the road with your hackathon; your networking may also help you in future endeavors. I am a product manager at HackerEarth. I work for the growth of Innovation Management product and Hackathon community.